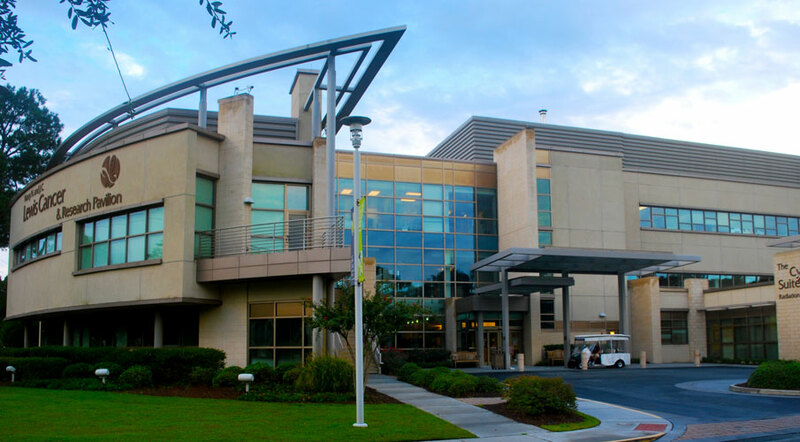 The Nancy N. and J.C. Lewis Cancer & Research Pavilion at St. Joseph's/Candler partnered with Northside and Georgia CORE to earn the Georgia NCORP grant from the National Cancer Institute. The Lewis Cancer & Research Pavilion (LCRP) brings to the project a robust cancer trial program, with 301 participants, that will only grow through NCORP. The LCRP has placed particular importance on enrolling underserved and minority patients in clinical trials with the latest treatments. As part of NCORP, the LCRP will have a special focus on the delivery of cancer care to patients. We will be researching how cancer outcomes are affected by issues like social factors, health technologies, access to care and financing. The LCRP has a long history of working with the NCI and implementing innovative programs for the patients in southeast Georgia. In 2007 the LCRP was selected to take part in the NCI's Community Cancer Centers Program, under which we ramped up clinical trials and created a powerful patient navigation infrastructure. Our multi-disciplinary physician teams meet weekly to chart the best treatment courses for our patients using the latest technology, such as the cutting-edge CyberKnife Robotic Radiosurgery System. The LCRP has fostered a palliative care program that serves both in-patient and out-patient cancer survivors.